​Launching 15 January, our Gmart online website is ready for service with 2000 over products available online! Founded by a group of professionals who have dedicated countless hours of their valuable time to the Indian community, Gmart is extraordinary! Our online platform is the place to visit when shopping for Indian food products. With a large variety of high-quality Indian food products for you to pick from, Gmart also brings customers the best deals via exciting discounts and promotions, giving customers the best price and the best products. Powered by our core values of punctuality and honesty, Gmart online will undoubtedly please and satisfy customers with our dependable services and quick delivery. So, shop with us today for the best online shopping experience you’ll find! The newly launched Gmart website is vibrant, stylish and most importantly dynamic. It’s designed to be user-friendly, whereby products are easily located on the main page. With pictures and details of the products, it gives the user a clearer idea of what their ordering, reducing mistakes and making shopping an absolute breeze. After choosing your groceries, simply check the items in your shopping cart, make payment via your preferred payment method. Now, sit back and relax, you’re your groceries will be at your doorstep right on time! Encountered an issue? Simply scroll to the bottom of the page for help and customer service where you can request for products currently missing from the variety available. Using Gmart online is simple, easy and fast. What are you waiting for? Gmart- We offer perks and savings to first time shoppers! Gmart offers great deals for customers looking for Indian groceries. Providing affordable and top quality products, Gmart’s has customer satisfaction as their top priority. We offer perks and savings to first time shoppers and even have a reward points and a promotion system for you to reap greater benefits while still enjoying the best products we have to offer. With a large and meticulously-chosen selection of Indian products, you are sure to find what you need at the best price around town. 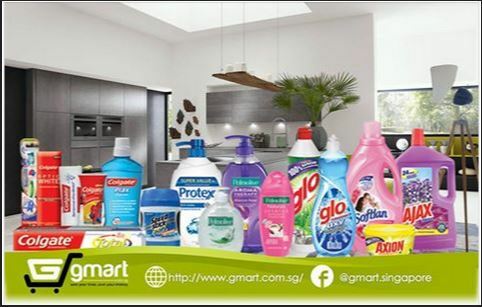 Your satisfaction is guaranteed when shopping on Gmart.com.sg, so sign up now and shop today! The one stop solution for all your daily Grocery needs! Gmart- the one stop solution for all your daily needs! From crunchy delicious snacks, to high quality home care products, to fragrant tea that invigorate the senses, you name it, we have it. Gmart offers a large variety of carefully picked products for you to cover every step of your day. Specialising in basmati rice and spices, we offer over 20 rice related products, and more than 100 spice products from trusted brands just for you, with more new items added frequently via customer requests! So be quick and order from us and enjoy free delivery for orders above $60! Order now!